The SBS said the son requested Samsung to sign a $9.5 million sponsorship for the IAAF’s Diamond League circuit from 2010-2012 in return for possibly lobbying some IOC members to support Pyeongchang’s bid. The SBS based its speculation on email exchanges between Samsung and Papa Massata Diack that it says were contained among documents South Korean prosecutors confiscated in a raid on Samsung over a separate corruption investigation last year. Samsung has responded by calling the SBS report inaccurate. It says it’s signed legitimate sponsorship contracts with many international sports organizations, including the IAAF. 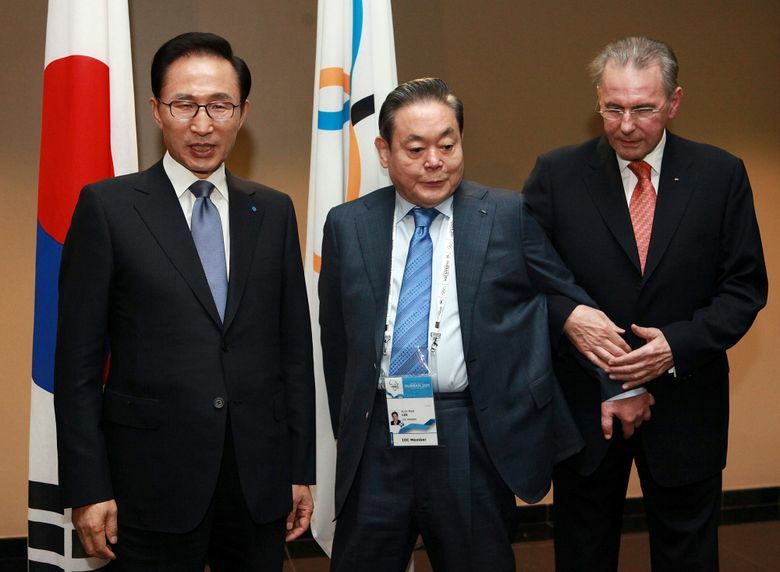 In late 2009, Samsung chief Lee Kun-hee was granted a special presidential pardon — by the then South Korean government of conservative President Lee Myung-bak — from a suspended sentence for illegal financial dealings so he could rejoin South Korea’s campaign to host the Winter Olympics. South Korea, which previously failed twice to bring the games to Pyeongchang, eventually won the rights to host the Winter Games in 2011. Earlier this month, South Korean prosecutors indicted Lee Myung-bak on charges he took bribes from Samsung and others. Prosecutors said Samsung took such benefits as Lee Kun-hee’s pardon in return for the bribes. In a statement to the Associated Press, the International Olympic Committee did not directly address the allegations aired by SBS about Papa Massata Diack but said the IOC had “turned the page” in terms of host city selection procedures. “The deep reforms of Olympic Agenda 2020 to the candidature process, and the even stronger governance measures that have been introduced, show that the IOC has now ‘turned the page’,” said the statement, from an IOC spokesperson. “As far as his former functions in the IOC are concerned Mr Diack has already lost his honorary membership in 2015,” the spokesperson said.